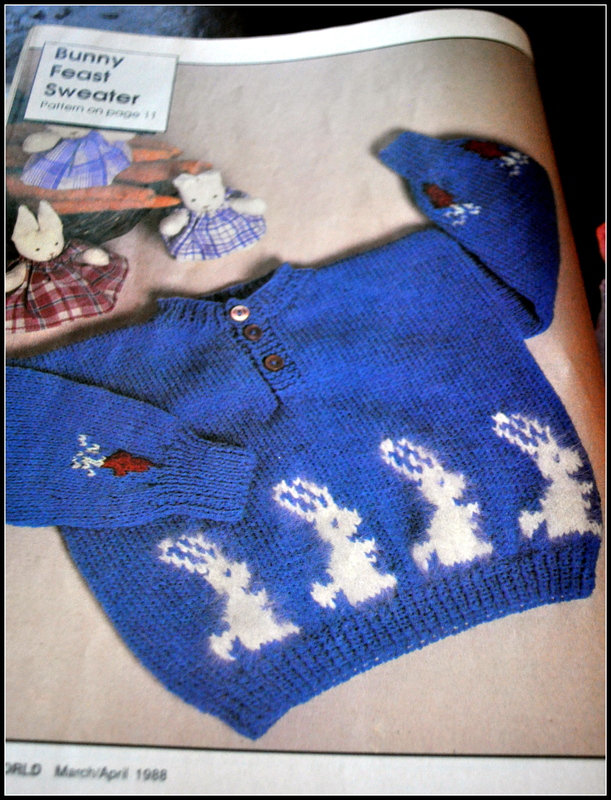 I fished this knitting magazine from the 80s out of a free box yesterday. Man, I love this stuff. 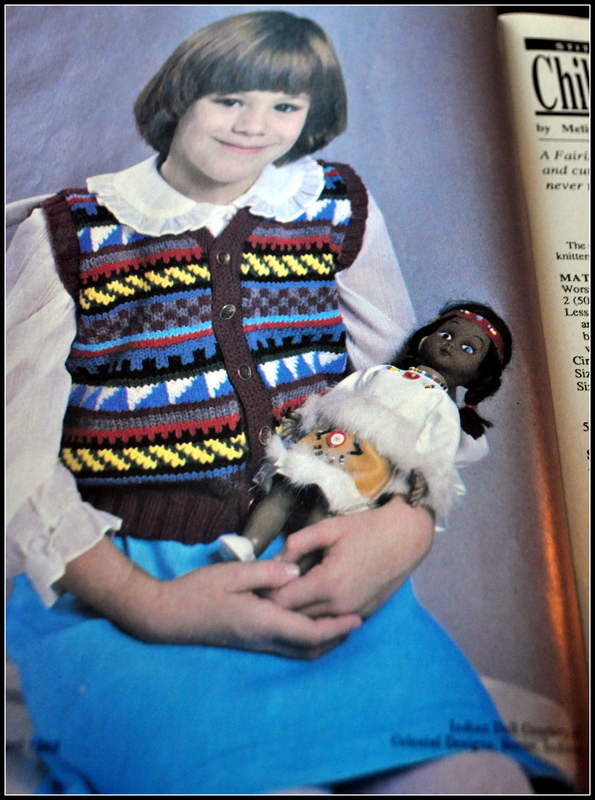 Check out that Indian Doll. Huh. 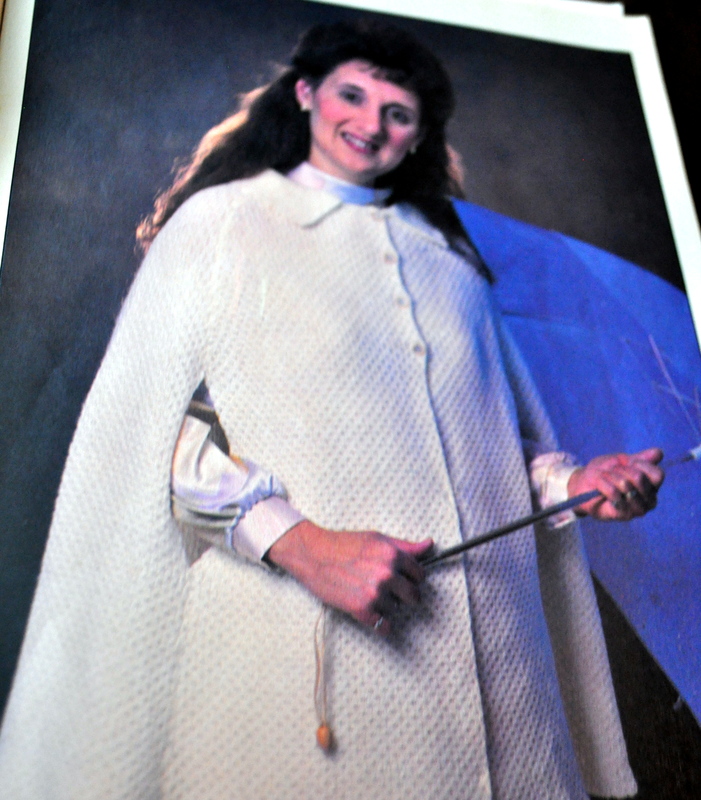 There are some good patterns in magazines like this,though. You just have to use your imagination and look past the weird models & icky yarns and odd designs. You may have to battle a bit of 80’s related PTSD . “Did we really dress like that then? !” No way, not me. Like this one ! It would still be a pretty cute sweater. 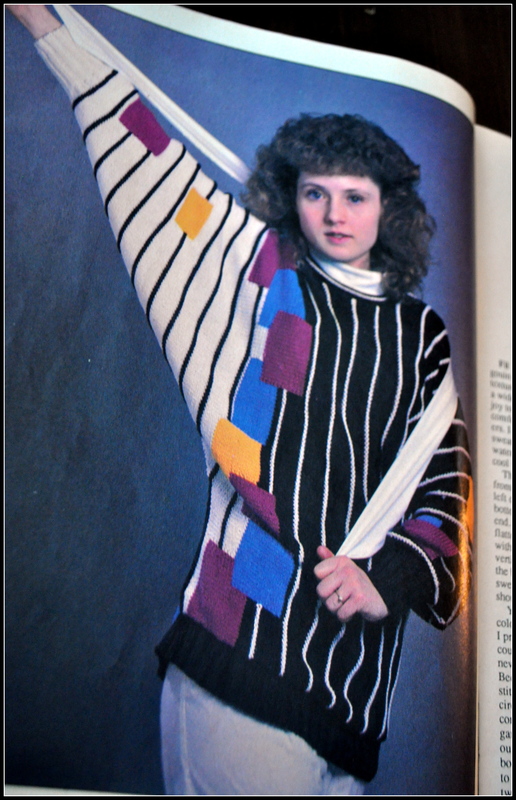 This entry was posted in Thrifting, Vintage and tagged 80s, fashion, funny, knitting, old, patterns, vintage. Bookmark the permalink. ← Inspiration: It’s not just about creativity….